Much has been written about how to say no to too many responsibilities at work, but my friend Gina came up with a different way. Gina was a technical support manager, but to her dismay, she was also put in charge of operations. On top of that, she was added the development and implementation of a disaster recovery program, a task important enough to have been a full-time job all by itself. In terms of responsibilities, Gina had three jobs, but (you won't be surprised to hear) she was being paid for only one. She was miserable about being forced to become a workaholic. Gina repeatedly beseeched her manager for less work or more help. He was sympathetic; he wanted to hire more staff, but he couldn't persuade his own boss, the vice president. “Hang on just a little longer,” the vice president kept saying, while reassuring her that help would be forthcoming ... soon. Just short of drowning in her workload, Gina concluded that she could no longer wait for the indeterminate “soon.” With her manager's approval, she scheduled an appointment with the vice president. At the appointed time, she went to his office. He wasn't there. Regardless of whether he was off fighting fires or playing golf, this was the last straw. She returned to her office and wrote a letter of resignation. No, not from the company—it was a letter of resignation from one of her three jobs. She said she simply couldn't handle the load any longer. She would continue with the technical support job—the one she'd been hired to do—but they'd have to eliminate one of the other two responsibilities. Her letter didn't contain threats, warnings, or ultimatums. She gave no deadline for acting on her resignation and said nothing to suggest that if steps weren’t taken to reduce her workload, she'd quit altogether. For Gina, this letter was a desperate ploy; she didn’t really expect anything to change. Yet, to her great surprise, within a few weeks, the operations job was turned over to someone they claimed they'd been grooming for the job. Whether this so-called preparation had really been happening didn't matter. What mattered was the result. By acting on her own behalf, Gina was now down to a “mere” two jobs for the salary of one. Gina would be the first to reject the views of those who claim that it's not your job to manage your manager. Clearly, sometimes you have to stand up to your manager, or, as in Gina's case, someone higher up. 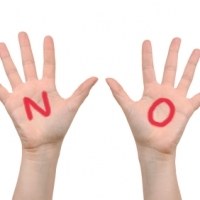 When you reach a point where you can legitimately say, “I've had it,” it’s time to fend for yourself and say no, not here, not now, not this way, no, no, no! Otherwise, you're allowing your manager to believe that you can do it all. Or, as in Gina's case, do it all times three.